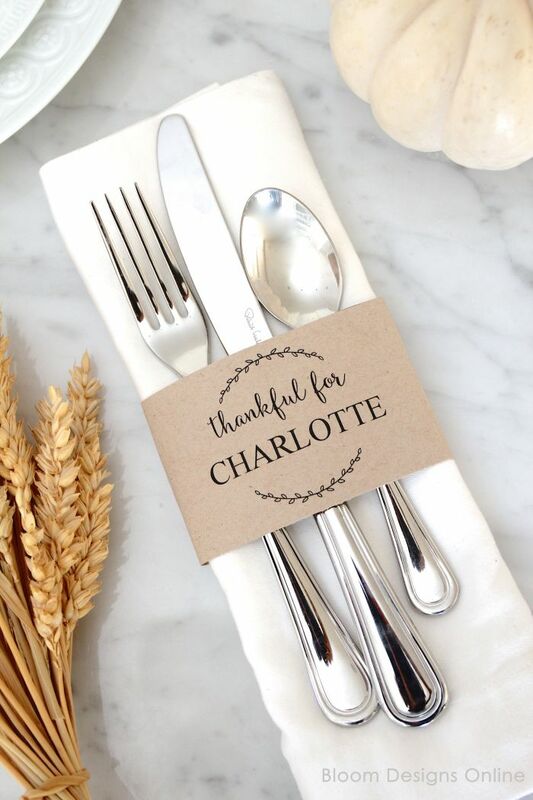 When you have a large number of guests coming to your home for Thanksgiving, you may want to create some Thanksgiving place cards and assign your guests a place to sit. This will prevent chaos and even give people a chance to speak with someone they may not know so well. On the flip side, you can avoid arguments between people you know don’t get along by sitting them apart from each other! 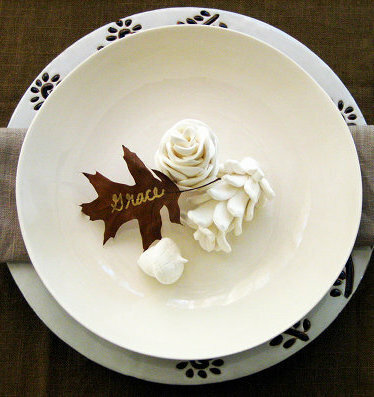 Thanksgiving place cards can be as simple or as complicated as you like! 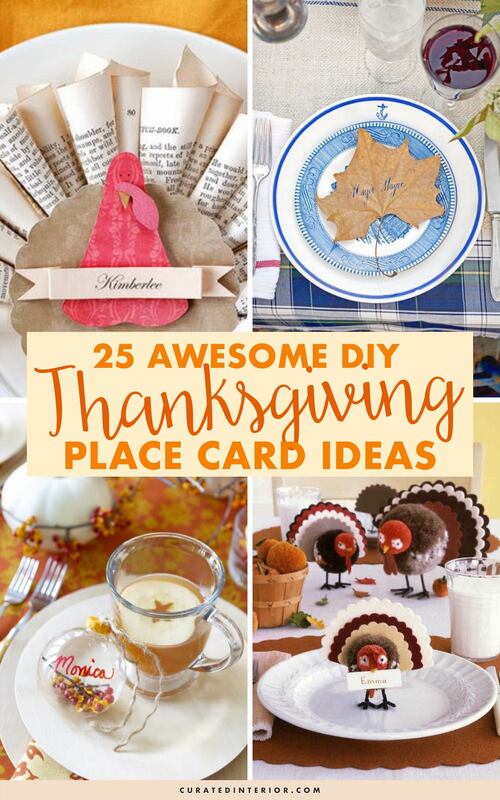 These are the 25 best Thanksgiving place card ideas we’ve found around the web! 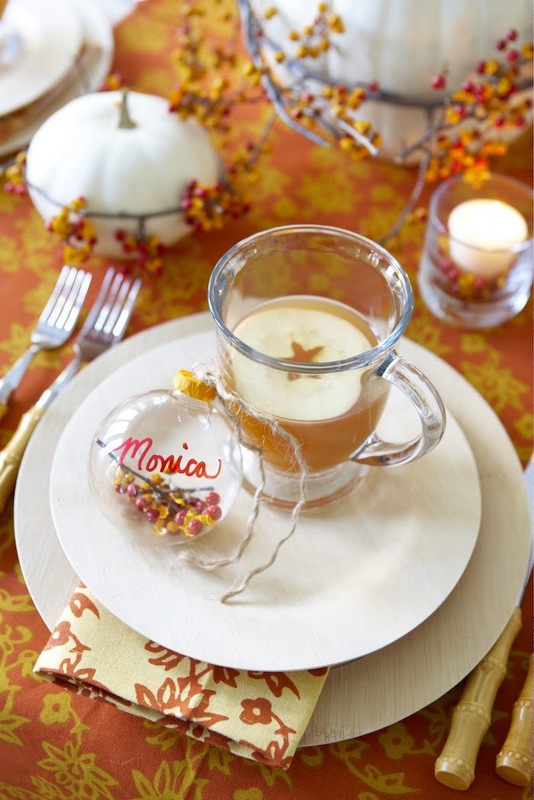 These glass ball Thanksgiving place card holders are so stunning. I can imagine that they will gently reflect the light in a charming way on your Thanksgiving table. To write the names,use a special glass marker like this one. Easy! 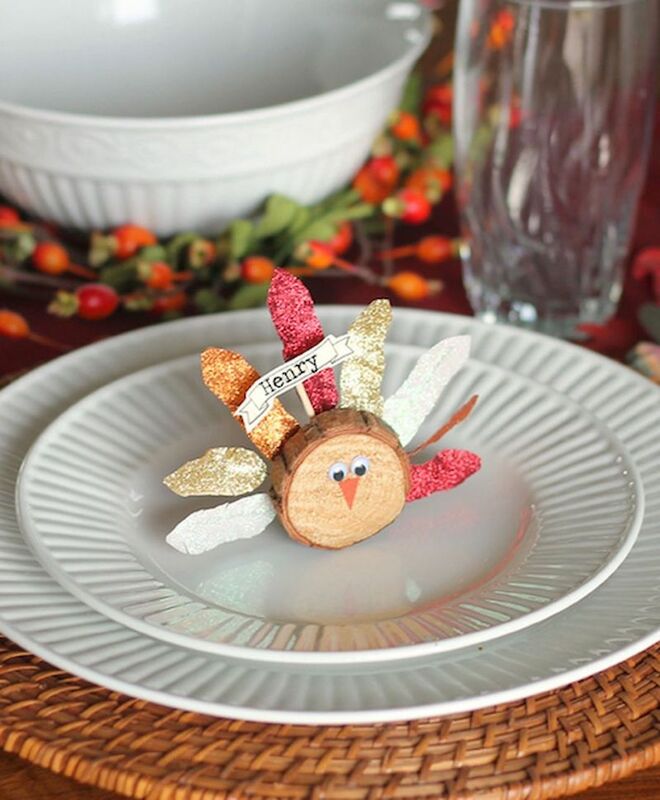 Using a wood slice, some toothpicks, paper and glitter, you can create this festive wood slice turkey place card yourself! 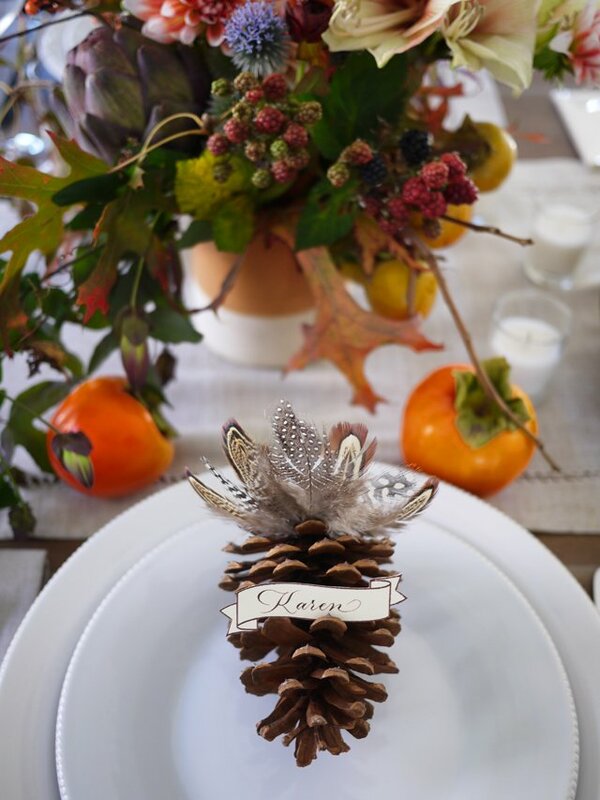 Feathers and pine cones are a brilliant duo for this Thanksgiving place card idea. 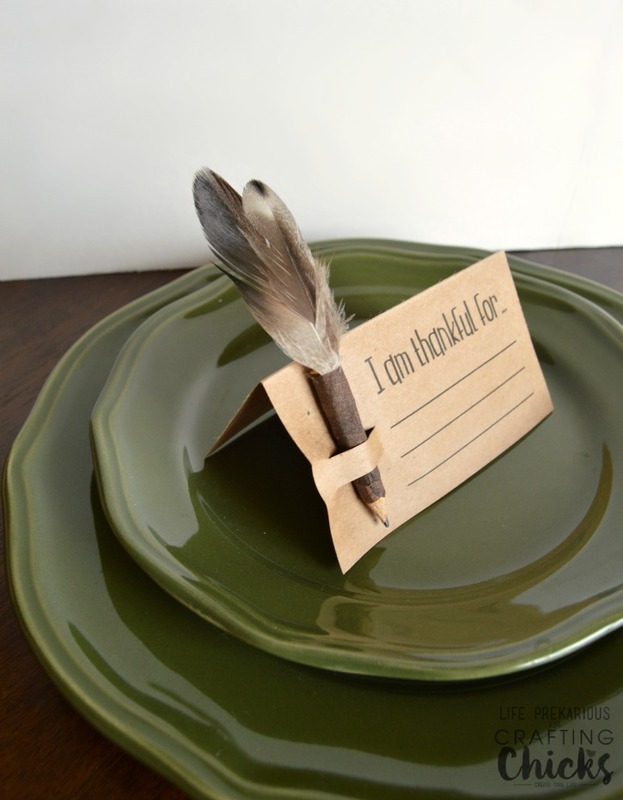 Another turkey place card holder, but this time using a clothespin! 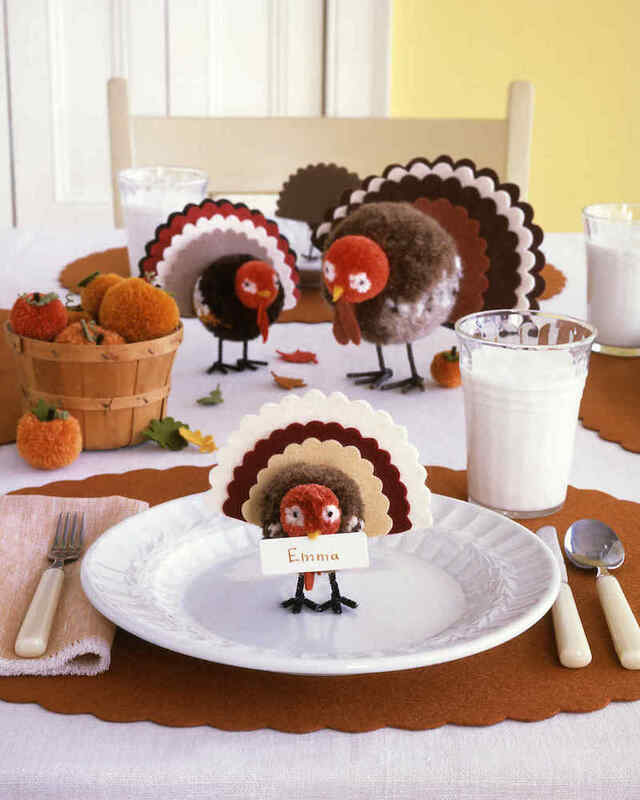 These pom pom turkeys are an adorable craft to do with the kids! 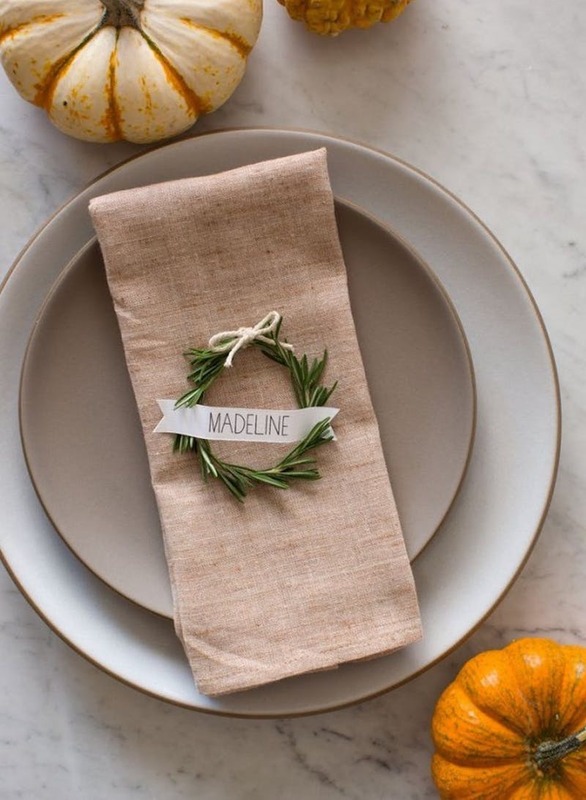 A classically simple and elegant Thanksgiving place card holder idea using rosemary! 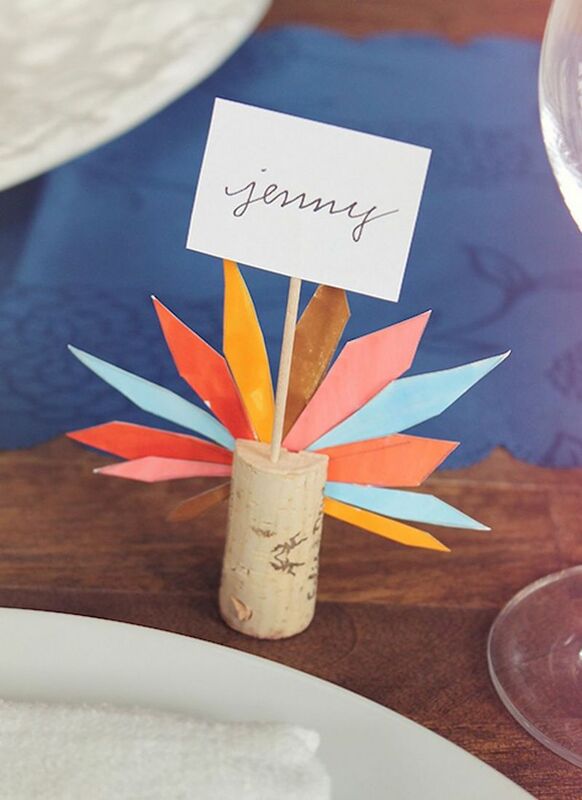 This wine cork turkey feather DIY place card is sure to delight your guests. What’s more Thanksgiving than a Cornucopia? 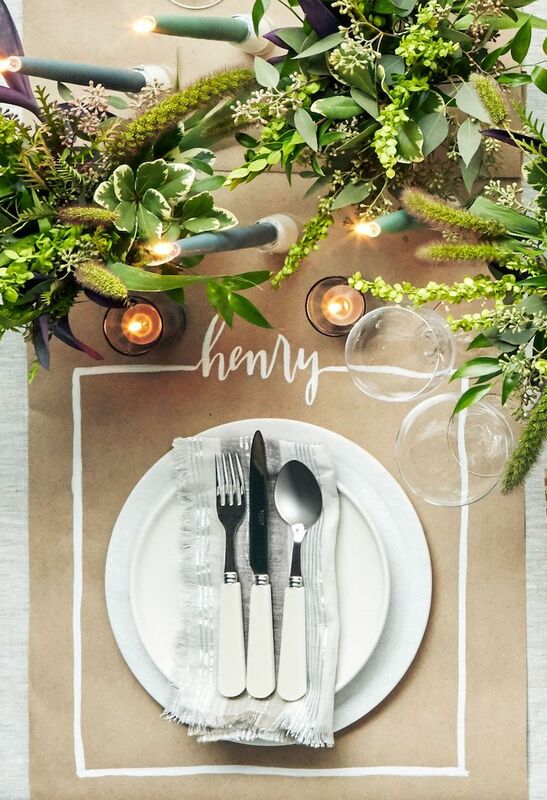 Incorporate it into your place settings with this DIY. 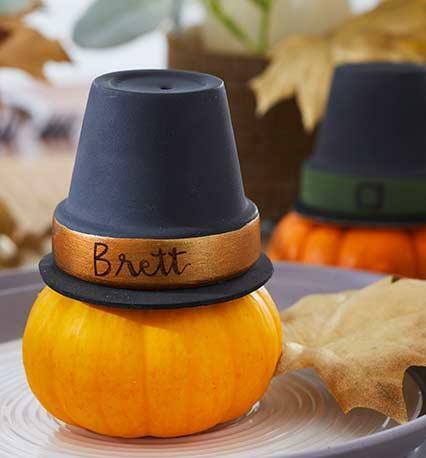 These Pilgrim hats are perfect place cards for your Thanksgiving table! 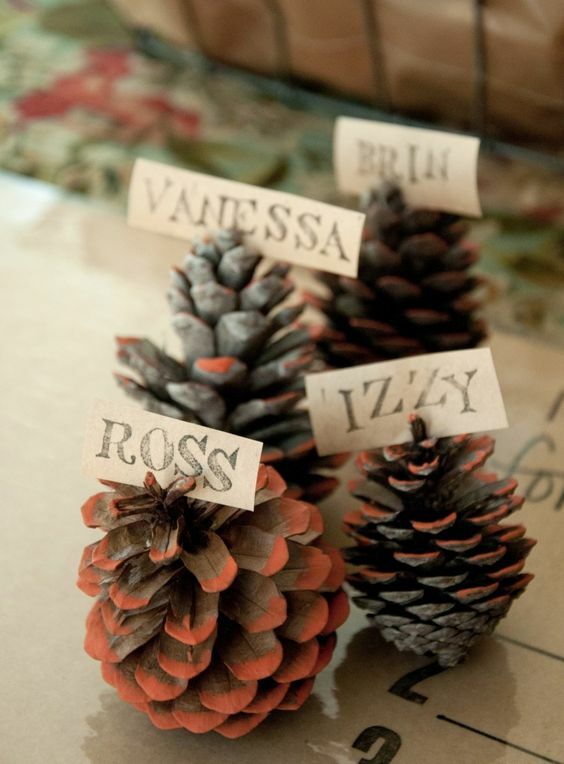 I couldn’t find the original source of this DIY Painted Pinecone, but you can easily paint the tips of the pinecone using a muted fall color like this burnt orange, and then write the names of your guests on brown paper (maybe use an old paper bag!). 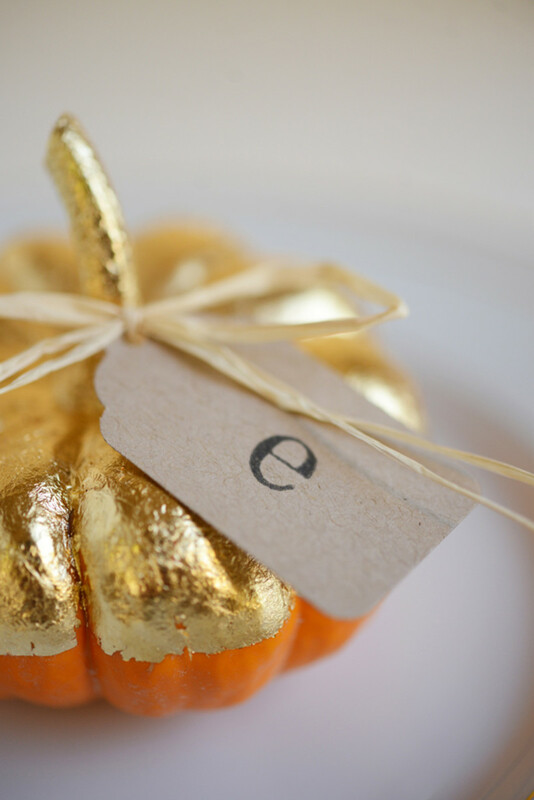 A golden pumpkin adds a touch of glamour and elegance this Thanksgiving! 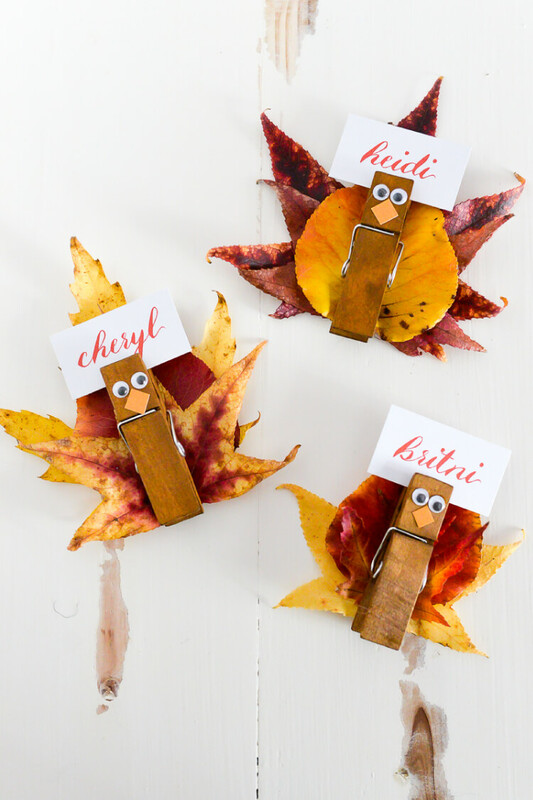 These simple Thanksgiving clothespin place cards are super easy to make. 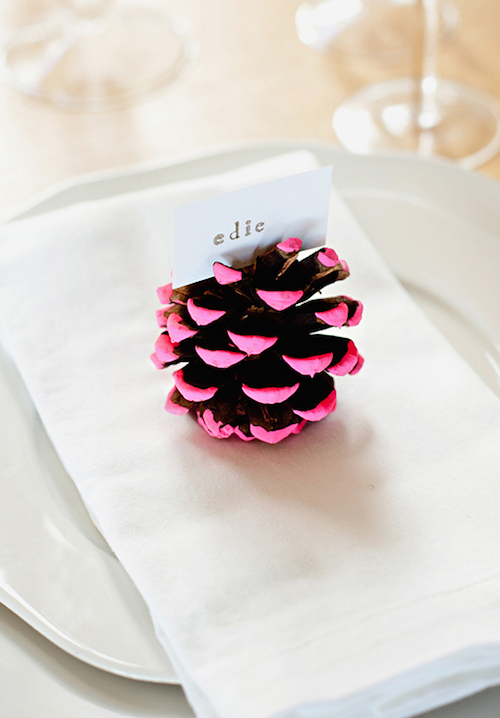 If you have some time, try this DIY clay pinecone place card idea this Thanksgiving! 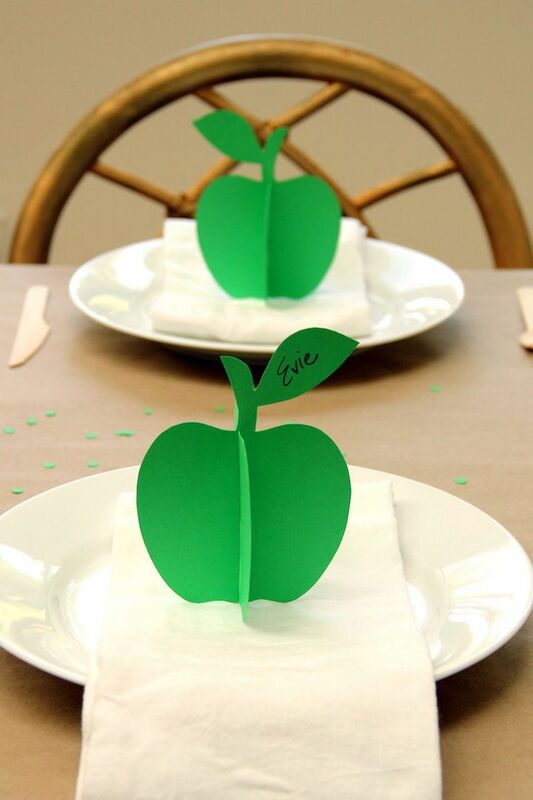 Using card stock, you can create your own Thanksgiving place cards that double as napkin holders, too! 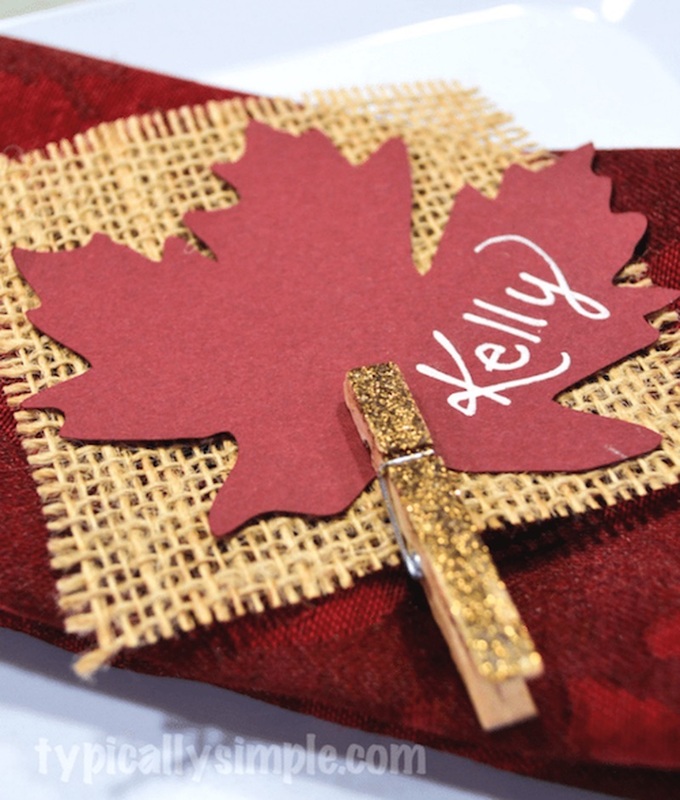 Burlap is a great fall material to use for your Thanksgiving place cards. This spool is super cheap! 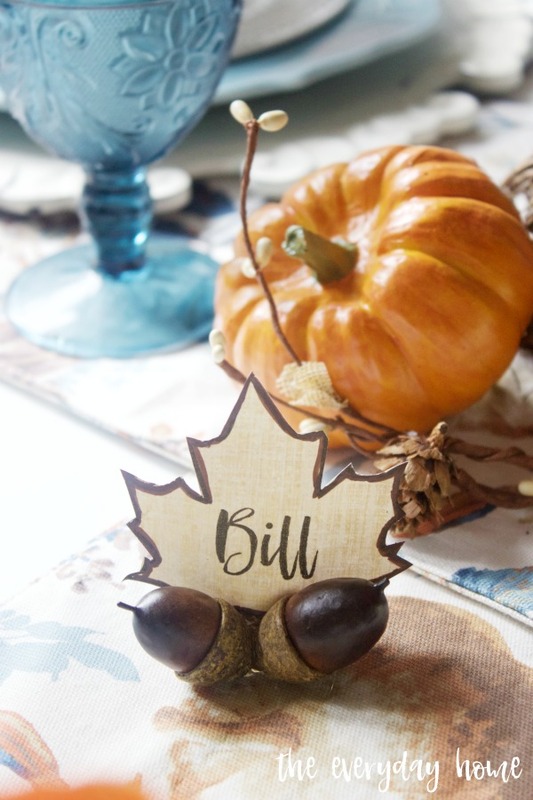 I love this beautiful brown acorn place card DIY. 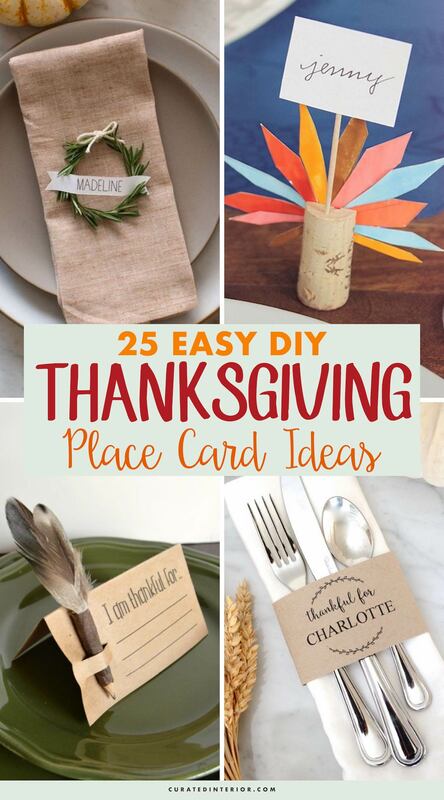 I love this interactive DIY Thanksgiving place card holder idea! 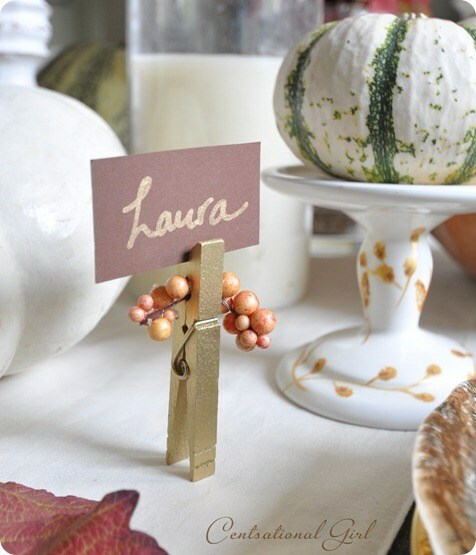 Have your guests write what they are thankful for on the place card itself. Brilliant. A simple and minimal Thanksgiving place card idea. 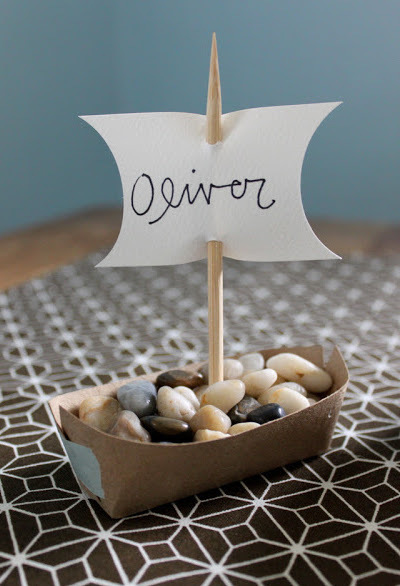 Teach your kids about the history of Thanksgiving with this place card DIY project featuring the famous Mayflower ship! The neon makes this place card holder really pop! 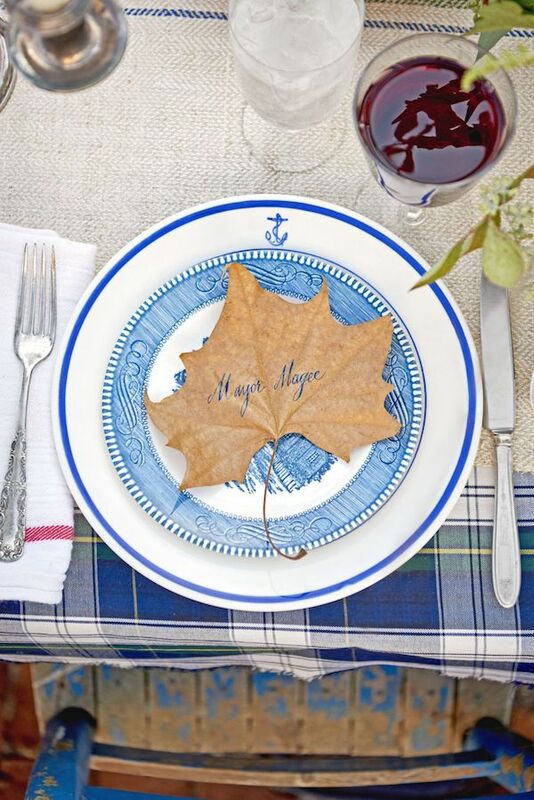 Coastal homes can use this seaside DIY Thanksgiving place card idea! 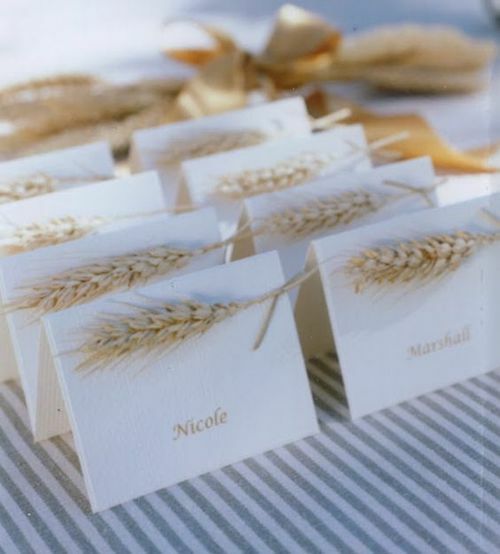 I wasn’t able to find the source of this adorable DIY place card but it seems like you could easy paste a small piece of wheat to a card and make this lovely Thanksgiving name card! This Thanksgiving place card DIY tutorial is no longer available but I figured I’d share in case any professional DIYers out there want to give it a go. 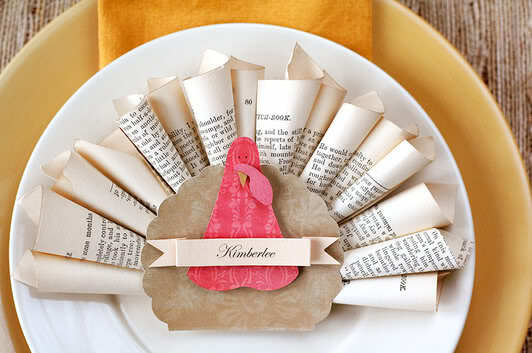 How brilliant is it to use old book pages to make turkey feathers on this adorable DIY Turkey place card? 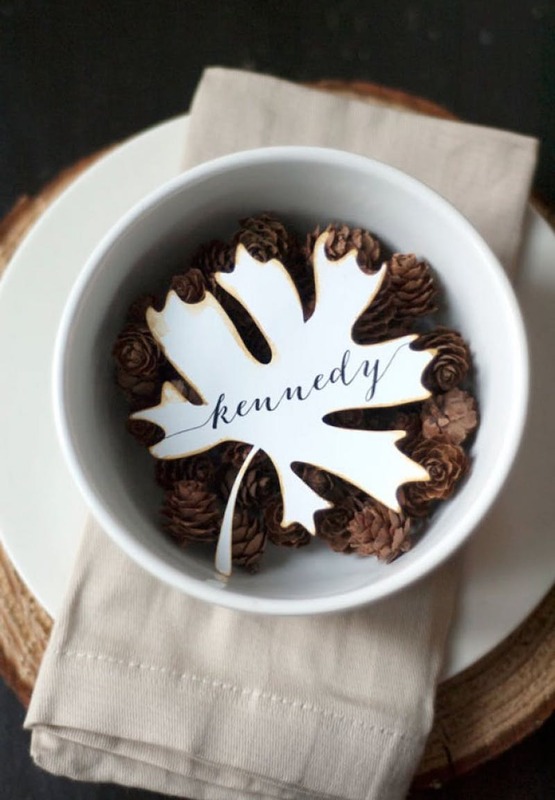 The brown mini pinecones provide a great backdrop against this simple white maple leaf Thanksgiving place card. 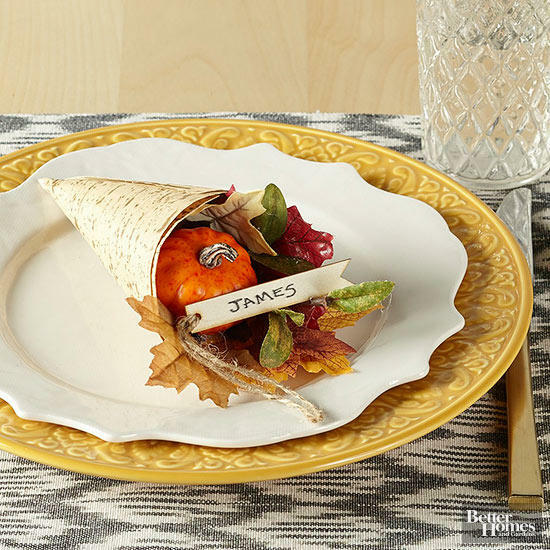 Do you have a Thanksgiving place card holder idea you use every year? Share your thoughts in the comments below! 15 Affordable Fall Decorations That Will Make Your Home So Cozy This Autumn!